MARINE STRIP is safe on all surfaces except Aluminium. Does not harm plastic. Is safe on gelcoat. Easy to apply Gel - With prolonged stripping action. Always try a sample area first. To apply the product use a flat blade or a brush with synthetic (nylon) “bristles”. Wear proper protective clothing, gloves. For best results on wood, do not let MARINE STRIP work longer than required to dissolve the paint. “Weak” wood like some veneers or plywoods may be damaged. Hardwood, especially those rich in tannins (oak, exotic wood,…) can turn dark if in prolonged contact with MARINE STRIP. Where MARINE STRIP has darkened the wood DO NOT allow it to dry, prior to using DECK CLEANER. Correctly used, MARINE STRIP can easily be removed, then neutralized with DECK CLEANER which will restore the original even color. 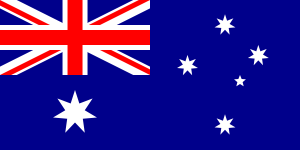 Ask for technical information when you buy the product. Apply a thick coat of MARINE STRIP over the whole surface to be stripped. 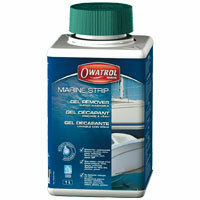 To remove MARINE STRIP and dissolved paint, rinse very thoroughly with fresh water and a brush or pressure washer (max. 60bars/870psi). The use of hot water makes the job easier. Note : porous surfaces like wood must always be neutralized with DECK CLEANER after removing Marine Strip. Always use DECK CLEANER to neutralize wood surfaces. DO NOT use metal containers to store product. Keep from freezing and away from high temperatures. Working time : 5 min - 12 H.